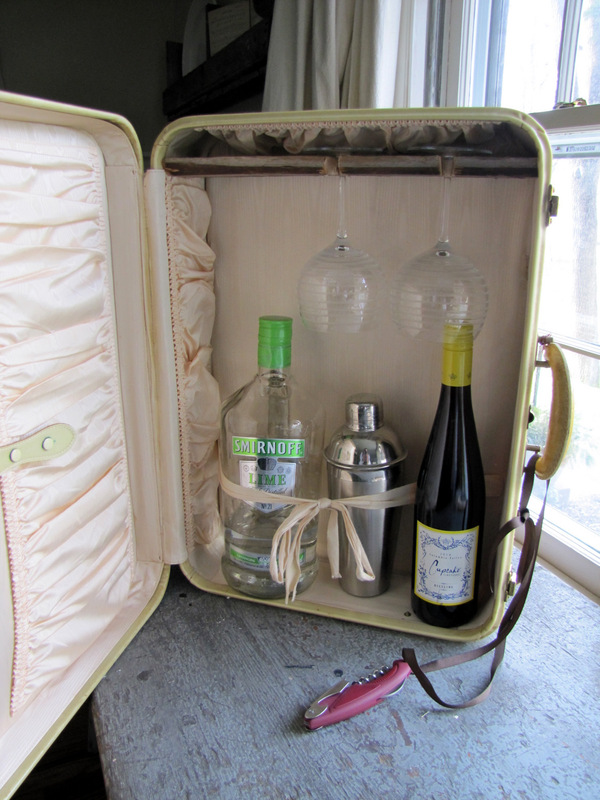 I’ve been working on this “mini bar” for a guest room. It’s going to hang on the wall above the bedside dresser. It would be great filled with water bottles and snapple, plus a few munchies. Who wouldn’t love that in their room? 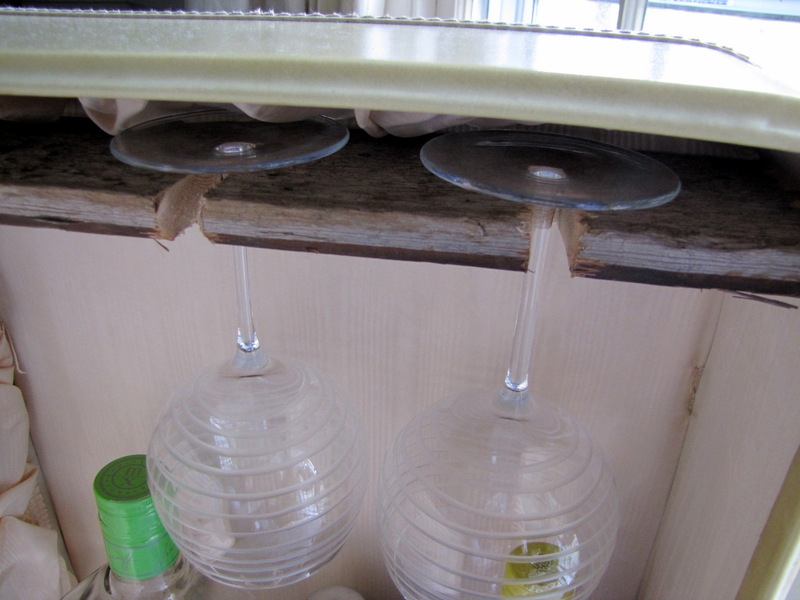 I used a scrap piece of wood from a shipping pallet and notched out 2 spots for the glasses to hang. Then, I just wedged the wood into place. Can’t wait to see it hung! 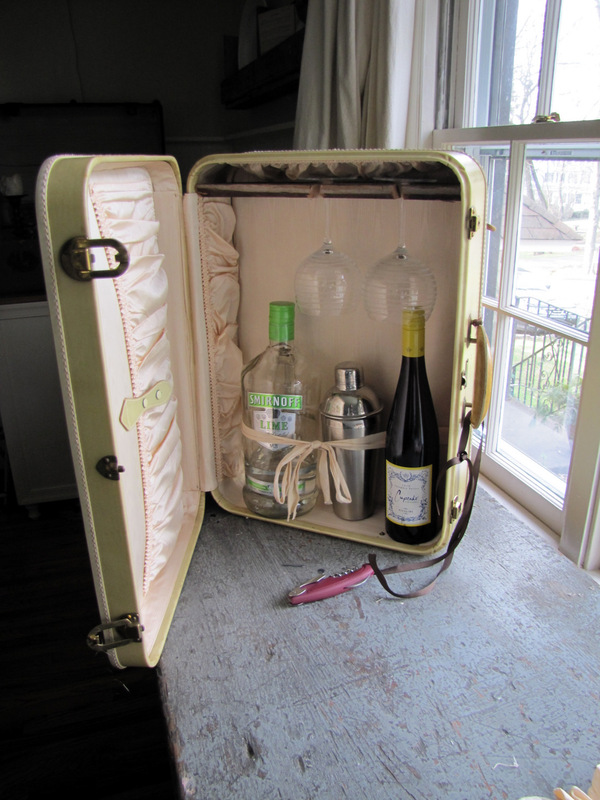 This is a great use for a vintage suitcase. Very cute. Haha, that is great use for an old item. 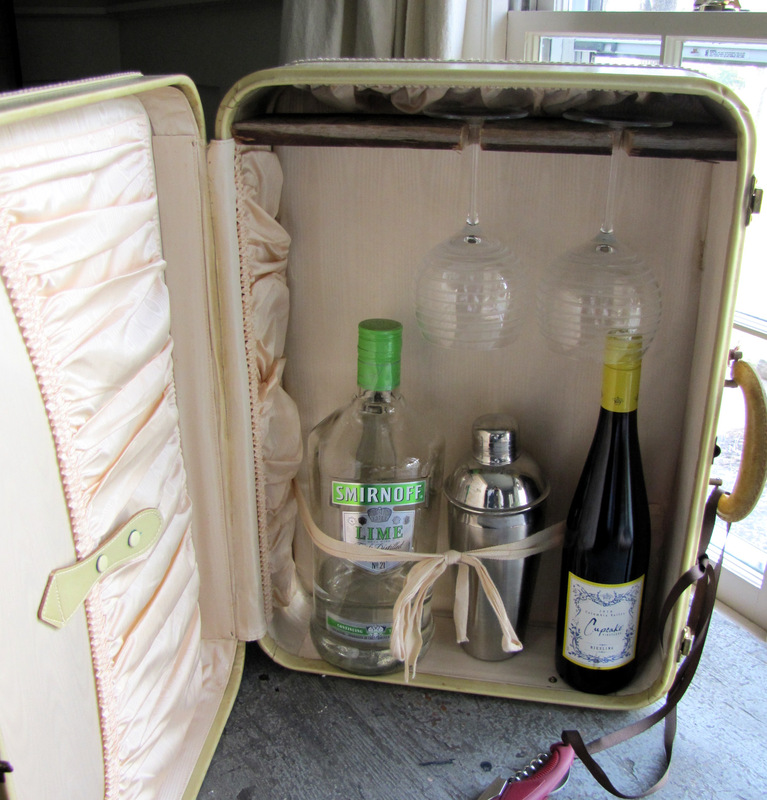 I bet the guests will love to raid the mini bar. What a great idea! Never would have crossed my mind! What a fun way to display drinks and munchies!! Never woulda thought of it!